It might seem like I’ve secluded myself in my sprawling Hipdad estate for years, away from the limelight. Some may feel abandoned — even betrayed — by my abrupt reclusivity. The truth is that Hipdad has been busy being a hip dad, taming (but more realistically tamed by) that first little fetus of his, who has incidentally metamorphosed into a charming and beautiful little girl. Hipdaddery is a relentless struggle1 but, together with Hipmom, I managed to reach a certain natural balance. I accept my (few and far between) limitations and our daughter’s absolute dominion over us. We’ve endured for nearly four years. We live. We eat. We sleep. The suburban American dream, realized. And yet there’s a storm coming, a reckoning that threatens to upend our harmonious existence. Just as documented in a dispatch from a few years back, we’re again on the brink of deliverance. My wife, 38 ½ weeks into yet another pregnancy, is experiencing the same Braxton-Hicks contractions that back then made me convulse with dread.2 The reaction this time around is more subdued but also more complex. Yes, I’m once again prepared to surrender whatever sense of freedom I managed to salvage after my initiation into fatherhood. And the fact that New Fetus is also a girl puts me at relative ease (“been there done that, right?”). But unlike the first time around, this time I’m honestly feeling a tad detached from the pregnancy itself. You might be tempted to cast this through some psychoanalytic prism, jumping to the conclusion that I’m not in tune with my feelings, that I’m harboring serious fears of having another child. But please. First of all, I am not denying, not least to myself, that I’m scared about #2. I have accepted my pusillanimity long ago. The truth is that I’ve mostly just been preoccupied with #1. My wife and I gradually and strategically exposed our daughter to the forthcoming reality, and I think we’ve done a fairly decent job. We tried not to shove the idea down her throat at first. At least not until recently. Intellectually, she gets that she will have a little sister. But is she emotionally ready to have her world rocked by a little tyke that will likely displace the constant flow of attention she’s used to getting? That is the question that vexes me and detracts from I-Thou moments with my presently gestating kin. It’s exacerbated by Mommy’s physical condition over the last few months, which prevents her from lifting our daughter and engaging in strenuous physical activity. To mitigate this, I’ve tried to spend more time than usual with my daughter, even hold her more often. You know. Just be a hip dad. I’ve also been preoccupied with small home improvement projects to feed our nesting habits. All this at the cost of neglecting my wife, her belly, and the fetus within. It’s only over the last few weeks, while putting the baby’s room together, picking out a name, and designing the birth announcement, that I’m starting to get really excited. Not only about the prospect of being a daddy all over again, but about meeting this brand new person. Rereading my earlier posts about the process of becoming a dad the first time around reminds me of just how naïve I was back then. That younger Hipdad had so much to learn. But it’s also great to relive that moment, when all I could conceptualize was a fetus, and how said fetus has, over the years, shattered all expectations. So don’t deny me the tingle of excitement about going through that amazing process again, of seeing a very needy and delicate infant grow into a beautiful and slightly less needy girl. I’m also excited about the next leg of my journey as Hipdad and all the uncertainties it will bring. Daddyhood with two girls is challenging enough. Maintaining some semblance of hip through it all is quite another thing. A second girl may very well redefine who I am as a hip dad. You might say that I’m overthinking this. After all, once a daddy, always a daddy. That I’ve reached the pinnacle of Hipdaddery and learned everything there is to know. My reply: Not everthing. Not yet. 1 As is, by the way, Hiphusbandry. 2 I checked, and indeed there’s no such thing as “sympathy contractions”. 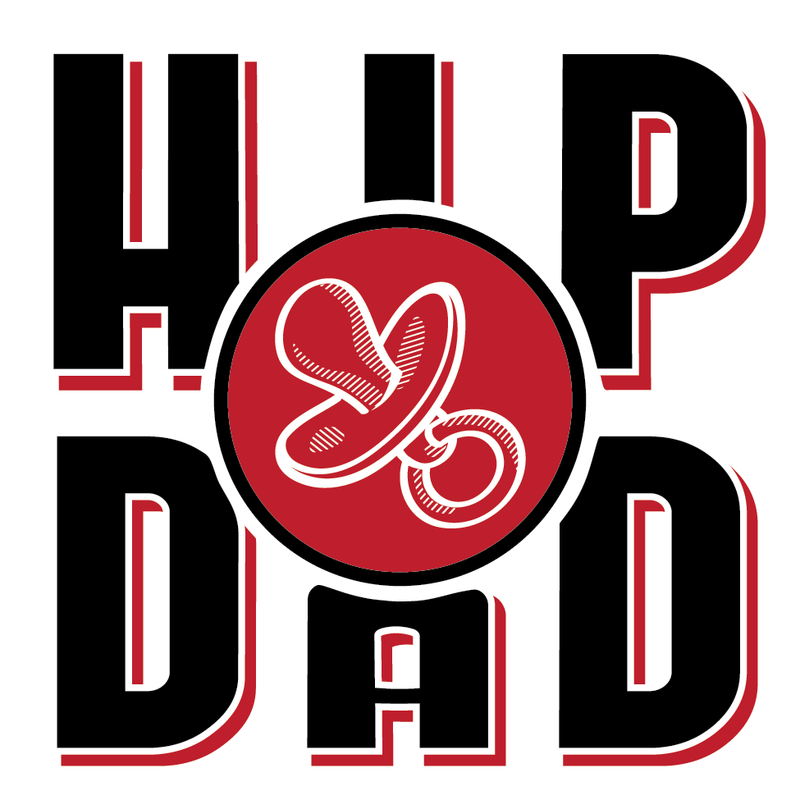 But in the end, is he still Hipdad? I really want him to be. I guess anyone can be Hipdad.